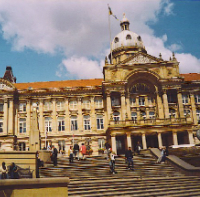 Birmingham City Council consulted on a fundamentally altered CIL Charging Schedule following major criticism. Review of the viability appraisal showed that the Council’s proposed charges were likely to price out affordable housing supply; Tetlow King Planning’s (TKP) comments were critical in achieving further viability testing. The Draft Charging Schedule agreed at the City Cabinet significantly reduced the two proposed charges, from £115 per m2 to £69 per m2 in the high value housing zones, and £55 per m2 to £0 per m2 in the low values zones. As sought by TKP, these new charges should enable affordable housing to come forward, unimpeded by CIL, a benefit particularly welcome to our Housing Association Registered Provider clients. © Image copyright Colin Smith and licensed for reuse under this Creative Commons Licence.